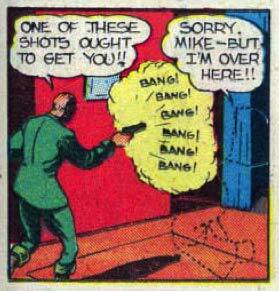 I sure hope Invisible Woman Lady waited ’till after the sixth bang to start gloating. ‘Course then, she’d still get a thrown gun to the kisser. … and now the first lesson in how not to be seen … not to speak while invisible.